ISLAMABAD -- Pakistan, one of the last three countries in the world where polio is endemic, is seeking a ban on anti-vaccine videos on the internet that have been jeopardising the effort to eradicate the preventable disease. Unfounded doubts raised over the efficacy of vaccines on YouTube, Facebook and other sites are adversely impacting efforts to vaccinate all children under five years old, Babar Bin Atta, Prime Minister Imran Khan's focal person on polio eradication, told Pakistan Forward. "Therefore, we have asked the Pakistan Telecommunication Authority (PTA) to help remove such content for the smooth sailing of the vaccination drive," he said, referring to a request made in a letter penned by Babar March 7 to the PTA. Such online content often include claims that Islam prohibits vaccinations and that the West formulated them to sterilise Muslims. "Facebook has agreed to limit videos, but we want complete deletion," Atta said, adding that the government also has asked cellphone companies to send vaccination messages to parents. "We are very close to the eradication of poliomyelitis," he said. "We have vaccinated about 34 million children across the country, but 300,000 remain unvaccinated because of anti-vaccine propaganda on the internet." Atta said that it has been difficult to control propaganda videos against vaccinations because their creators are unknown. "These videos are meant to hamper vaccination" and to let children become infected with polio, he added. In Peshawar, about 50,000 have refused the vaccine, as some still believe the misinformation they encounter on the internet. 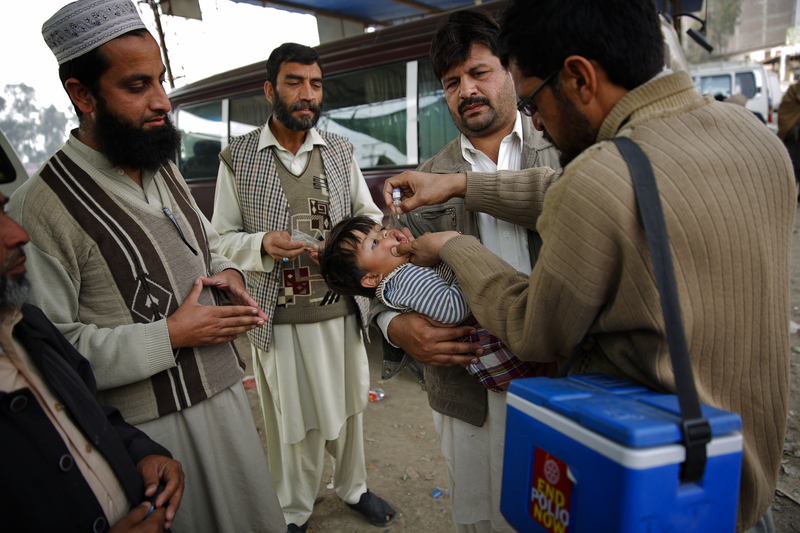 "We don't want to go against Islamic teachings that disallow vaccination," Jamil Shah, a resident of Matani in Peshawar, told Pakistan Forward. "I don't have any proof, but I have seen on the internet that vaccination causes sterility." Vaccinations are a ploy used by anti-Muslim countries to harm Muslims, said Kashif Ali, a schoolteacher living on Ring Road near Peshawar. "We don't want vaccinations at any cost," he told Pakistan Forward. In contrast, Pakistani ulema have been issuing decrees in favor of vaccination. 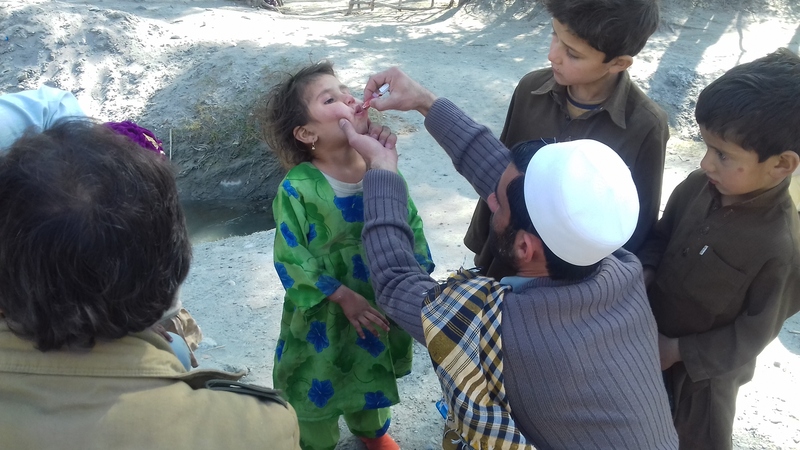 "We have issued several fatwas to persuade the public to vaccinate children," said Mualana Muhammad Shafi, a prayer leader in Karkhano Market in Peshawar. "It's the primary responsibility of parents to protect their children against disease and ensure their healthy future." 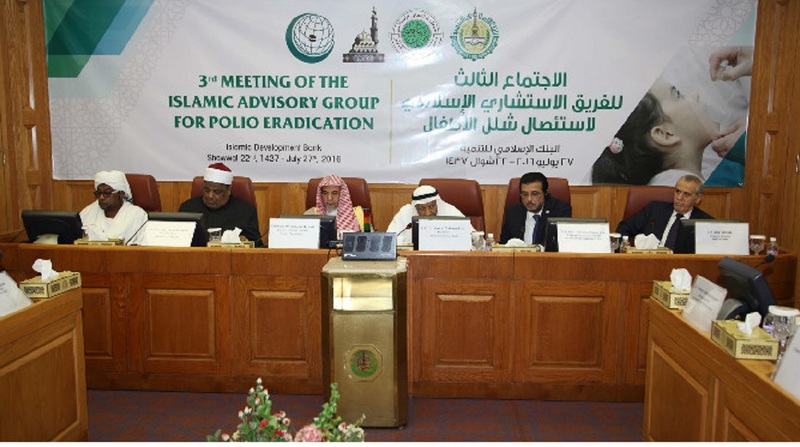 Ulema have a duty to inform parents that vaccination is the best option to safeguard their children against polio and other preventable ailments, said Shafi. Polio is an international health issue because the virus can be transported anywhere from Pakistan, Afghanistan and Nigeria, Rana Safdar, national co-ordinator for polio eradication, told Pakistan Forward. The World Health Organisation (WHO) has cut polio cases from 35,000 per year in 1990 to only four in 2019 using vaccines, says the WHO. It has been seeking a sustained vaccination campaign to protect children from disabilities. As long as a single virus is present, "it can endanger children everywhere," Safdar said. The PTA is contacting Facebook and Twitter administrators, he confirmed. "All social-media companies have been faced with growing pressure over spurious content," Safdar said. "Many companies are willing to remove groups and pages that post misinformation about vaccinations." Vaccination rates also have suffered from staunch opposition by militant groups, and the government has enlisted religious scholars to help counter this phenomenon, said Safdar. Over the past five years, Taliban militants have issued edicts against polio vaccination in addition to killing at least 60 anti-polio workers.